Do you know what's happening in your network? 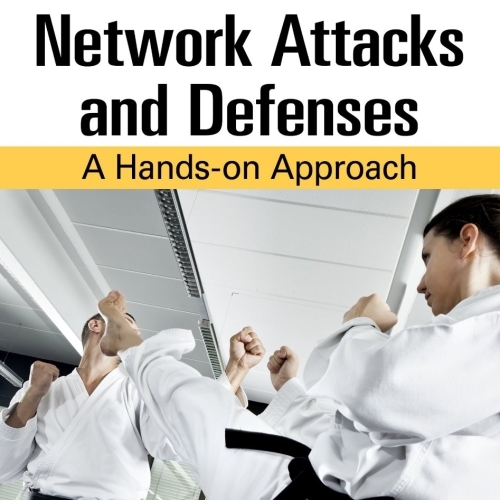 Are you secure against attacks from inside? Get back control of your network! Download XArp - it's free! You are a network security professional? XArp Pro is for you! Unlock the full power of XArp with fine-grained attack detection. XArp performs advanced ARP spoofing detection mechanisms – made to secure your network. Are you Ready to Take Back Control of YOUR Network? XArp is a security application that uses advanced techniques to detect ARP based attacks. Using active and passive modules XArp detects hackers inside your network. ARP attacks allow an attacker to silently eavesdrop or manipulate all your data that is sent over the network. This include documents, emails, or VoiceIP conversations. ARP spoofing attacks go undetected by firewalls and operating system security: Firewalls do not protect you against ARP based attack. FREE / PRO! YOUR CHOICE! XArp is free! If you like XArp, want to support us, want to unlock the full power of XArp: buy XArp Pro! Download and install XArp in seconds and start monitoring your network now. Get XArp for Windows and Ubuntu Linux. Unlock the full power of XArp with the Pro version. If you are a network professional this is a must! Updates are included: Buy XArp 2 and you will get every update in the v2 series for free. XArp will be an impenetrable wall that will keep ARP attackers at bay! XArp 2 is ideal in terms of the number of detected abnormal ARP packets. Get yourself a copy of XArp today before you and your machine become the next victims in cyber crime. Did you know that the easiest attacks inside a network are ARP spoofing attacks? 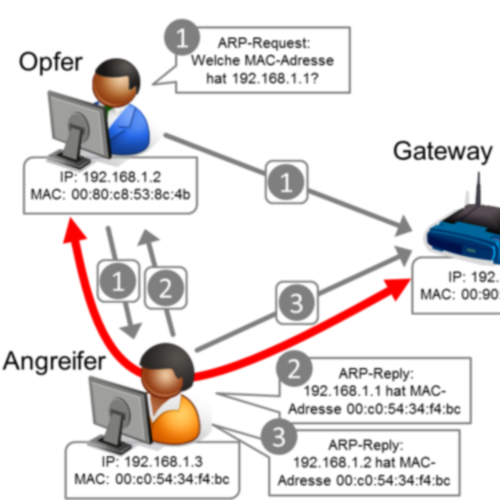 Did you know that ARP attacks can eavesdrop and manipulate all traffic in your network? Including Emails, Web, Voice, Data? Did you know that ARP spoofing attacks go undetected by traditional firewalls? Did you know that about 80% of network attacks originate from inside the network (KPMG E-fraud report)? XArp is free! Download it for Windows and Ubuntu Linux. To unlock the full potential of XArp buy the Pro version. Download XArp for Windows operating systems. Note, that the WinPcap installer is included in the installation package. It will automatically be installed with XArp. The installer works for 32bit and 64bit systems. Download XArp for Ubuntu operating systems. Pick the correct 32 or 64 bit version for your operating system. You will need additional software packages, see the installation notes. Unlock the full power with XArp Pro! The automatic installer will guide you through the XArp installation. During this process WinPcap will be installed. There is not much that you need to do, just follow the instructions. Then continue with the instructions above. parameter. This works for both the Windows and Ubuntu version. The security of your network is our #1 priority. XArp is developed by network security specialists with the highest standards. The simple answer: XArp is a network security tool. It detects critical network attacks that are not covered by firewalls. The real answer: XArp uses advanced techniques to detect ARP-attacks like ARP-spoofing. These are easily to launch attacks that have high impact and elude firewalls. Why do I need XArp? Because ARP-based attacks are a very underestimated attack. Using ARP-spoofing, an attacker can eavesdrop all your network traffic including emails and passwords, for example. All this goes totally undetected. XArp performans active and passive methods to detect such attacks. In what network environment do I need XArp? 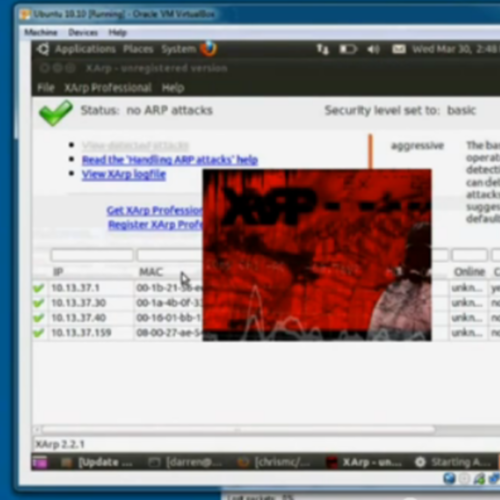 ARP-attacks can only be performend on a local network. If you got a DSL-line with dialup for a single computer, you don’t need XArp. If your computer resides in a local network, you are in risk of ARP-attacks and need XArp. An example for local networks are company networks. When you got a computer at work, this is most likely a local network. What to do when an attack is detected by XArp? The best advice is to immediatly stop all you internet and network connections. Close any browser, email and other network clients. Contact your network administrator. He can analyze the log output from XArp and decide which actions are necessary. What does the name 'XArp' stand for? Not much. ARP stands for Address Resolution Protocol and is the protocol that XArp monitors. Why don't firewalls protect against ARP-attacks? XArp uses two groups of techniques for detecting ARP-attacks. On the one hand XArp employs a set of filter modules that inspect every single ARP packet that comes in or goes out of your computer. The filters have different sensitivity and are grouped to make up security levels. The other technique are active network discoverers. These are used to quickly gather information about your network and support the filter modules. Further more network discoverers are used to actively validate the information gathered by filter modules. Most firewalls operate from ISO/OSI-layer three upwards. The ARP protocol resides in ISO/OSI-layer two. As such, firewalls do not inspect any ARP packets. There is one firewall that performs a very basic level of ARP inspection: Agnitum Outpost Firewall Pro. The security employed in this firewall is very basic will not protect you against ARP-attacks. The IDS Snort also implements very rudimentary ARP-attack detection. The security provided is very basic and should not be counted on. I am getting false alerts from XArp, what can I do? The security levels employed by XArp are made up of a collection of filter modules and network discoverers. When you are getting false alerts, you have two options: switching to a lower security level or fine-tuning the configuration. Switch to a lower security level is done in the normal user interface. Fine tuning is performed in the advanced user interface. What about other countermeasures against ARP-attacks? Static ARP tables: Impossible administrative overhead. Secure distribution of tables not possible. Depending on OS version static ARP-entries are being overwritten. VLANs: Can’t put every machine into a VLAN. VLANs have their own set of security problems. Encryption: Can only encrypt from IP-layer upwards. Man-in-the-middle attacks on secured connections have been shown. Firewalls: See FAQ entry above. I want to learn more about ARP-attacks, any pointers? Read “An Introduction to ARP-spoofing” by Sean Whalen. It is very good and covery the basics to understand the problem. Where can I lean more about ARP? Have a look at the Wikipedia article and the ARP RFC. This article from the University of Aberdeen does a good job, too, in explaining ARP. Exact numbers are not available. Mainly because ARP-attacks go undetected. According to a study from KPMG about 80% of attacks on coorperate networks origin from inside the network. As ARP-attacks are easily executed and have high impact, one can guess that lots of these attacks are performed using ARP-attacks. So, ARP-attacks are only possible on local networks, why should I worry about it? Because internal security is a highly underestimated threat! The Ernst & Young Global Information Security Survey shows that internal attacks are very common and much more dangerous than attacks from external. As sources for internal attacks they mention industrial spionage, outsourcing partners, employees and others. 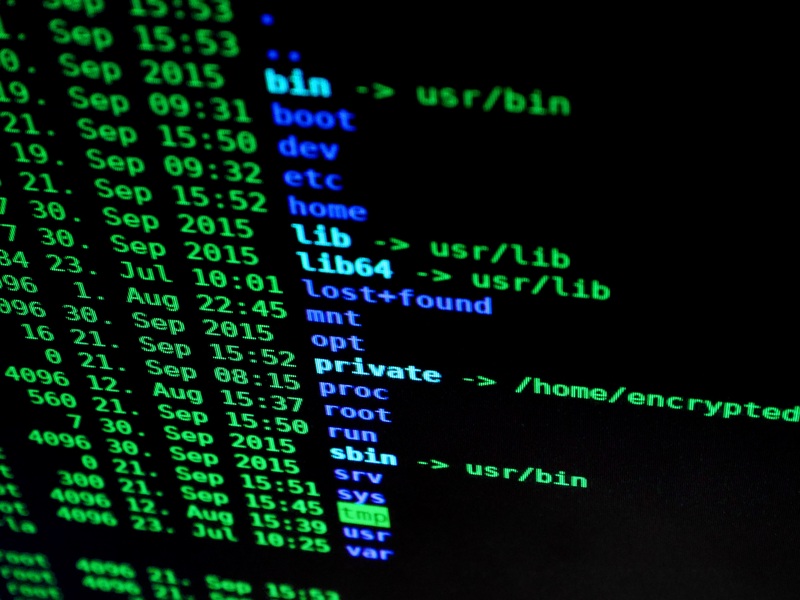 Further more, an external attacker that gets access to the local network can easily collect passwords and other sensitive information using ARP-attacks. Can I detect ARP-attacks against other machines using XArp? Yes, XArp can be used by an administrator to monitor a whole subnet. XArp will inspect every ARP packet and report attacks against remote machines. Some inspection modules can only work for the local machine (e.g. StaticPreserve), but most modules will not need any local information. They monitor each ARP packet and can thus detect ARP attacks against other machines. Be sure to deploy XArp on a machine that sees all network traffic from the whole subnet. XArp can only monitor and inspect packets that it can see. XArp does not show any mappings in the normal view and no network interfaces in the advanced view. Please note that the space after the = is mandatory. This command will startup the Winpcap driver automatically with administrative rights when you system starts. You can now use XArp from an account with no administrative rights. Why is the online status in the normal view always set to unknown? The online state of a host is directly dependent on the last time an ARP packet from this host was seen and the discoverer interval for the Unicast discoverer. To enable the online status, either set the security level in the Normal view to high, or set the interval for the Unicast discoverer in the Advanced view to something like 5 minutes (00:05:00). The lower the discoverer interval, the more precise the online state. How can I set up the alert emails in XArp Pro? XArp Pro can send alerts by email. XArp uses plain authentication for email sending. If you have no email provider that supports plain authentication: One good way is to install a local email server. – The new domain will appear on the left side. Select “Accounts” and set up a new email address, e.g. “alerts”. The email address will be “alerts@xarp-alerts.localhost”. Set up a password, you will use it for configuring XArp. – Configure hMailServer to only allow connections from the local machine: Settings -> Advanced -> IP Ranges -> Internet, remove the checkboxes unter “Allow connections”. – Configure hMailServer to allow PLAIN authentication: Settings -> Protocols -> SMTP -> RFC compliance, check “Allow plain text authentication”. – Configure XArp. As “Sender email address” use “alerts@xarp-alerts.localhost”. As “Receiver email address” use the address where alerts are to be send to. As “SMTP username” use “alerts”. As “SMTP password” use the password configured for the “alerts” account in hMailServer. As “SMTP server” use 127.0.0.1. As “SMTP server port” use 25. – If something does not work, see the log in hMailServer under Settings -> Logging -> Show logs. Be sure that logging is enabled for SMTP in the checkbox “Enabled” under Logging. How can I run XArp as a Windows service? SC DESCRIPTION XArp "ARP Spoofing Detection." Now you have created a service entry called XArp in Windows that you can start under the system Services area. Your question is not answered? Feel free to contact us! We are happy to hear from you and will get back to you as soon as possible! If your network is going crazy contact us for our individual consulting services.